The Lone Star State is the nation’s number one producer of cattle, with Nebraska and Kansas following. Texas had an estimated 12.5 million heads of cattle in 2018, according to latest statistics issued by the U.S. Department of Agriculture. And beef consumption per capita is at nearly 80 pounds in the United States. With that said, the portions of meat a person consumes at a dinner or at a restaurant table has its origin in the food a bovine eats daily. Mixes of grains like corn, soybeans, sorghum and even cotton seeds fatten cattle, but hay is one of the most important ingredients cattle need from birth to about nine months of age. It’s there where hay producers play a big role in the multimillion-dollar cattle industry. The Rio Grande Valley’s ranchland and fertile soil has its share of that acreage when it comes to producing feed for cattle. Ramirez said some people grow hay on as little as five acres of land, but his operation requires a couple of hundred acres. Hay can be harvested every three months, depending on the weather. He also bales hay for ranchers on a custom basis. His customers include the Thomas, El Sauz and other cattle producing ranches throughout Willacy County. 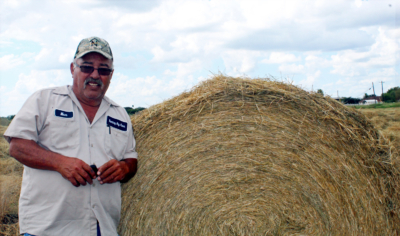 In Hidalgo County, Henry Gonzalez has been growing hay for commercial purposes for about 14 years. He said business is kind of slow this time of year but starts picking up in the spring. His hay is hauled to places around the San Antonio, Freer, Laredo and El Paso areas. 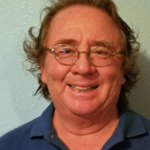 A former assistant police chief with the city of Weslaco, Gonzales became involved in the business of growing hay after he retired from a career of more than 30 years with the Weslaco Police Department. “I have my own land,” he said. “If the weather is good, we can harvest up to five times a year.” Gonzales said 10 round bales of hay per acre are considered a bumper crop, but an average crop produces five to six bales per acre. Some hay producers hit the jackpot last fall due to the amount of rain that fell in the Rio Grande Valley starting in June. In Bayview, Ernesto Martinez grows hay but not on a commercial basis. He said he rents his land to a farmer and after the crop is in, he harvests hay. The hay Martinez gets goes to feed his own cattle. Growing hay as a business comes with expenses just like any other enterprise. For a newcomer, it takes about $160,000 just to buy the equipment required, from the planting to the packaging of bales. That doesn’t include the land. 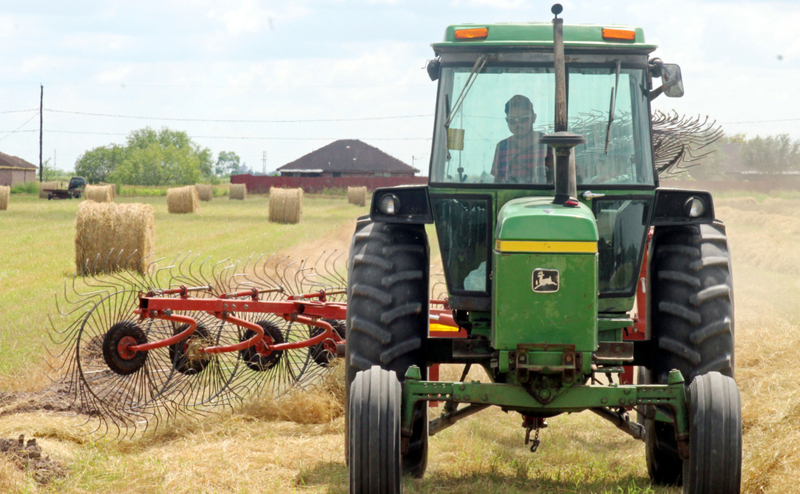 The equipment includes a 100-horsepower tractor, a round and square bailer and a rake. A round bale of hay usually sells in the neighborhood of $50 but it can fetch $70 whenever there is a drought, as happened from 2010 to 2013 in Texas and the Southern United States.